In Nevada, trees are a valuable commodity! Whether your trees have been matured by nature and enriched by time or simply young trees growing uncontrolled, entrust their care to someone with experience! I’m the owner of Nevada Tree Service and I’m happy to speak to you with any questions you may have. So, feel free to call me directly at 702-433-4700. 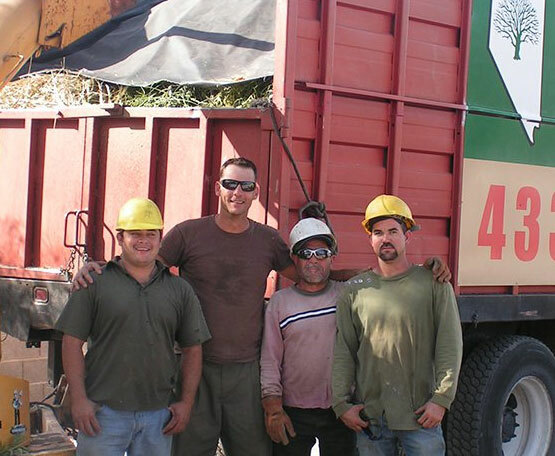 Nevada Tree Service has a long legacy of servicing trees and we are dedicated to running a great small business. The company was started when the valley was small — in 1962. We took over the company in 2000 and have seen continued success. Our business is family owned and operated. We have personal contact with all our customers. If there is ever a problem you call me directly and it will be worked out. The greatest reflection to the type of work we do and the company we are is our repeat customer base! Today, we continue to provide every possible service to help you care for your trees. We service the Greater Las Vegas valley and surrounding area. If you have a question regarding your trees, pick up your phone, give us a call. Thank you for contacting us. Please use the form below to reach us. One of our representatives will get back to you soon.